Colorado School Confiscates…. Oreo Cookies? Searches and seizures ….. in school lunch boxes? A Colorado mom packed Oreo cookies in her daughter’s lunch, only to find the delicious cookies returned to her with a note from the school. Dear Parents, it is very important that all students have a nutritious lunch. This is a public school setting and all children are required to have a fruit, a vegetable and a healthy snack from home, along with a milk. If they have potatoes, the child will also need bread to go along with it. Lunchables, chips, fruit snacks, and peanut butter are not considered to be a healthy snack. This is a very important part of our program and we need everyone’s participation. Putting aside that the part about potatoes makes no sense at all, this is government-gone-wild. 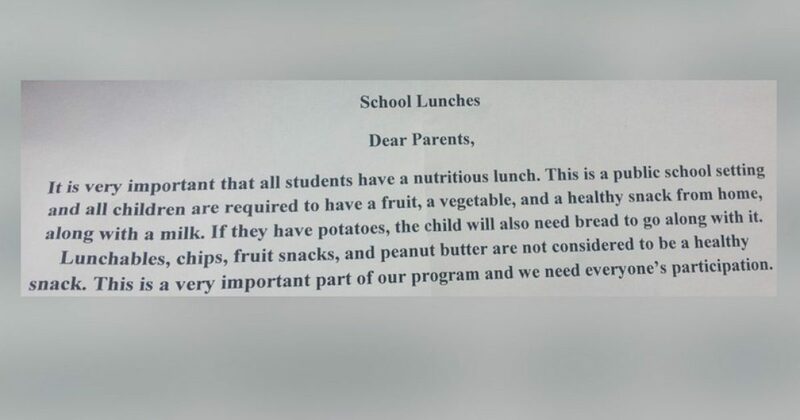 Parents should decide what their children eat, not school administrators. What are next, mandatory minimums on the number of hours a child sleeps? Stop the madness!